I was playing badminton for an hour already and when I lunged forward, I heard a loud 'pop' and thought my partner hit me. After that, I felt some numbness. A check with my orthopedist confirmed an Achilles tendon rupture. I am undergoing surgery tonight… will post update. I know post-surgery rehabilitation will be difficult. I did not see the small step in the dark and my foot caught in the crease of the cement step/walkway. It was the freakiest accident; while my foot was caught I was slowly swaying from side to side trying not to fall forward and hit my head. When my foot became dislodged from the step my lower leg slammed back against the concrete step and my Achilles tendon blew. I was immediately incapacitated and my teenage kids had to carry me to the car and the emergency room. It was the worst pain I've ever experienced in my life. I had pain in my right heel and put it down to arthritis pain. After 3 or 4 months, I finally went to a podiatrist, thinking he would give me a shot of cortisone in my heel and send me on my way. The doctor took x-rays and showed them to me saying, 'you're not going to like this'. The x-ray showed a bone spur, about 1 inch by 2 inch, by 1/4 that had broken off and was eating its way through my Achilles tendon. I was in surgery within a week and am at 12 weeks, still recovering. When my Achilles tendon ruptured I felt like a whiplash sound on the back of my right foot, then I was not able to walk firmly on that foot. The ankle got swollen and immediately after I could not feel it, the area became numb. I felt dizzy (I am a diabetic, 65 year old). Walking in the mountains I slipped and felt pain in my heel. I had to limp back to the road and get a lift back. My walking friend who is a doctor diagnosed ruptured Achilles tendon, we went Accident and Emergency at the local Spanish hospital and diagnosis was ruptured tendon. I was admitted to the hospital and operated the next day 2.5 hours under lower limb epidural. Two days later I was in cast from toe to upper thigh, and was told by the doctors, no weight bearing for 8 weeks. I ruptured my Achilles tendon playing flag football on May 27 2018. Foot was immediately immobilized and toes pointed down. Thompson test was inconclusive. I was placed in walking cast with 3-inch heel wedge. Now seven weeks in. First wedge to come out tomorrow (July 11). I have no pain, been weight bearing for about two weeks, area of healing/injury is quite high - over six centimeters above the heel - almost in the calf. If I did/do have Achilles tendon rupture, I wonder if a high injury will heal quicker due to blood supply. Reading through the other comments on here and although we all know it is a nasty injury, I ruptured my Achilles tendon playing walking football. I am just over 4 weeks in and have a boot for company and my next appointment is around 7 weeks. I am not in any pain, there is no bruising or swelling and I can get around ok. My disadvantages are no driving and a recent trip to Disneyland Paris saw me in a wheelchair so I could keep up. I still have a dent in my Achilles area but feel it is healing. I had a freak accident while working out, tripped and ruptured the Achilles tendon. I never experienced any pain, except for a 'pull feeling' on my right calf. I got up and tried to walk but it felt like my foot went to sleep, numb. I went to the doctor and they performed a Thompson test and x-rays and knew right away what happened. I had an ultra sound to make sure there wasn't a blood clot. The orthopedic surgeon gave me two options, surgery or the conservative method, no surgery. I picked the conservative method, and they put my leg in a cast, toes pointing down, for 2 weeks. Then they changed the position to a more neutral position, and cast the foot/leg for another 2 weeks, then they changed the cast again and positioned the foot/leg to a neutral position, added a walking shoe for another 4 weeks. I have been out of the cast for 3 weeks and going through therapy. My foot and leg feel great, a little weak, but no pain and I'm walking around. Another 4 weeks of therapy, till end of May 2017, and I should be ok and on the golf course. No more running. I was at a 50th birthday party dancing when I turned to plant my foot and kind of jumped. In the middle of the jump it felt like somebody kicked me in the back of the leg. I turned around and saw nobody there. I was in extreme pain and limped off of the dance floor. I told my wife that I thought that I had blown my Achilles tendon. We went to the emergency room and sure enough, the doctor said it was a full rupture. I was scheduled for surgery a couple of days later. It was about 4 months before I was boot and crutch free. I am just a few weeks short of a year from the injury now. My ankle is still stiff when I wake up in the morning. However, I participate in most activities normally. I am very cautious about jumping or planting suddenly on my left foot (injury side). I suspect that I may feel this way for a while. It was a long haul and you have to be very patient. Good Luck. I am 71 and was playing walking football. Gently swinging my left leg to pass the ball there was a loud crack and an excruciating pain in the leg. I had an ultrasound and diagnosed with a torn Achilles tendon. I have to wear a surgical boot for 6 weeks before returning to the hospital. Now it is four weeks in and still a bit swollen. Best of luck with your recovery. I'm 56 and was saying goodbye to guests. As they took off I turned and chased (ran) after them. About the 3rd step I heard this loud cracking sound and instantly there was pain in the ankle area and back calf muscle. I limped inside and after sitting for 10 minutes could no longer walk. I had no strength in my toes and no power in the ankles after the Achilles tendon rupture. There was swelling and bruising around the ankle and calf area the next day. Here I am in recovering in hospital post Achilles repair surgery. I have no pain yet, but knowing what is ahead of me I am contemplating the next few months with despair. I was playing tennis and had already played several games so had warmed up well. Yep, heard the loud cracking/popping noise and felt like I had been hit hard with an iron bar and fell like a sack of potatoes. I had incredible pain for several hours and then less pain. A week later in hospital the surgeon said it looked like there had been some prior damage, a warning sign, as I had been hobbling a bit after my runs a few weeks early. Good luck to those reading this! When I was a playing volleyball it felt like someone kicked me at the back of foot, and when I turned around nobody was there. It was so painful, and then my calf begin swelling. When I step on my right foot I cannot walk, it hurts me a lot. I go to the doctor, then my x-ray result was fine. The doctor told me that my Achilles tendon is ruptured. Now I'm starting medication (tramadol) if needed, and I put ice in my foot to heal the swelling. I will go back to see my doctor for my fast recovery. I have been suffering with chronic pain for years due to fibromyalgia and arthritis. Around 12 years ago I started noticing pain and stiffness in my left posterior ankle region. I went to an orthopedic doctor who did an exam, x-rays and then a MRI due to the hardness of this. The MRI showed fluid only and the doctor told me he was suspicious of a tumor or growth at first. He then prescribed a splint boot to wear during the night while I slept. I continued to have pain, tenderness and larger swellings especially when on my feet a lot during my nursing job. I went to a total of 7 foot doctors and a chiropractor over this 12 year period. I was mainly prescribed expensive custom made orthotics which did not seem to help. Whenever I wore flat shoes or went barefoot pain was getting unbearable. The swollen area has gradually over the years moved to the back of my left heel. The 6th foot doctor ordered an MRI finally, which showed a long tear in the Achilles tendon, 70 percent ruptured. He did not do surgery, so the 7th doctor for this saw me recently and I am wearing an orthopedic boot 23 hours a day. I go back in 2 more weeks and will get ultrasound done. Most likely he said I will need a cast. I am 59 and have not been able to walk like I would love to do due to tears in my knees. I have been in physiotherapy to recover from back surgery that left me with neuropathy on my right foot. I was standing on a ladder driving a screw into the kitchen ceiling and probably was putting more weight on my left foot because of the neuropathy on the right. It felt like I was hit in the back of the ankle with a board and I found myself on the kitchen floor. I reached for the back of my ankle and it was mush. I knew right away what had happened. There was very little pain, but I went to the doctor immediately and had surgery in 2 days, for Achilles tendon rupture. I am 4 weeks later now and in a boot. I should be able to walk without crutches in another 2 weeks and go back to work. I can't work until then because I have to carry tools and a laptop into clinics to repair their machines. I was in the middle of crossing a busy road when I felt a sudden intense pain in my right calf. I managed across the road but couldn't get up the curb, so just stood there balancing on one leg till someone appeared who could help. I've been in a moon boot for 5 weeks now and am beginning to lose wedges. Bruising and swelling have gone, but ankle and heel ache like mad! I am hoping the Achilles tendon rupture is healing okay as I am self-employed and so not earning whilst off work. I would like an idea of when I might be back on my feet. I suffered with plantar fasciitis for many years, cortisone shots did help but painful to get! I also have bone spur; into Achilles' tendon! I use Lidoderm patches, air cast, best sneakers, and ice. Well, 2 weeks ago Achilles tendon ruptured, pain was like a fastball hitting back of heel; stinging and burning with total meltdown from pain! I could not put my foot down for a second. Within 30 minutes I got home, took a tramadol 50 mg, lay in bed crying and 20 minutes later took another 50 mg. Finally I could breathe! This was a Sunday, so emergency room was not for me. I called my doctor on Monday, I was seen on Tuesday, and had MRI on Wednesday. My doctor put me in a boot, gave me medication, soothed my spirits and said, wear boot, elevate, take pain medicines as needed and see you in 1 month, and let us hope scar tissue forms around tendon to avoid surgery! I probably have 3 or 4 months of wearing boot. I stepped into an uncovered water meter hole. I had considerable ankle swelling and intense pain. X-rays at the emergency room (ER) were negative for fracture. I was told the injury was a high ankle sprain. After the swelling went down at approximately two weeks, I realized I could not point or flex my foot. I had surgery for Achilles tendon rupture, then 4 weeks non-weight bearing. I am now presently in a walking boot. I hope to start physiotherapy this week to progress to being out of the walking boot at 8 weeks post operation. I'm 45 and I was playing basketball but I did not warm up or stretch my legs properly because it was a casual one to one game. I was doing ok but after several minutes playing in a free shot in the moment after throwing the ball when I stepped on the floor again, I felt like a kick on my heel. I spun immediately to see if somebody kicked me but when I saw there was no one, I immediately knew what it was, a rupture of my left Achilles tendon; then came the pain. I was surgery treated the day after; all that was 8 weeks ago, now I'm at the beginning of the stretch recovery face of the rehabilitation. I had broken my foot and was a week away from getting my cast off when it happened. I had started to lean forward and I fell. As I was falling, I heard a loud snap and felt intense pain at the back of my foot. The hospital did x-rays with the cast on and said there were no new breaks. Two days later I went to see my foot and ankle doctor. He cut the cast off and my foot was severely swollen and bruised. He examined it and said I had torn my Achilles tendon. He said I was not a good candidate for surgery and re-cast it. He said it would have to be in a non-weight-bearing cast for up to 4 months and then in a boot for another 6 to 12 weeks. I was tired of wearing the cast so I bought an air cast and am now wearing it. It has been 3 weeks and I am still in a good amount of pain. I was prescribed tramadol (50mg every 4 to 6 hours). I try to only take it when I am going to sleep or if I cannot bear the pain. Last Autumn I"d been working out about 10 - 12 hours a week in my gym when half way through a set of jumping lunges in a boot camp class I wobbled and something "went". I actually carried on for 3 weeks before finally seeing my doctor thinking it a nasty sprain. A trip to Accident & Emergency confirmed a ruptured right Achilles. I"ve had 4 months off work, 2.5 weeks in cast, 10 weeks in support boot with wedges, and several weeks of physiotherapy to date. I"m finally back in work and driving again and currently still have pain and a limp but am improving all the time. I live alone and got through it all with some real practical help from my friends. I now know all about supermarket mobility scooters, how much cat food will fit in a rucksack on a trip to the local shop on crutches, and even how much you can do with a personal trainer in your gym whilst wearing a support boot etc. Good luck if you are at the start of this journey and don"t just think you have to sit on your sofa watching TV. I was playing football with work friends, we started playing this year about 4 weeks prior and for the last 2 weeks before the rupture of my Achilles tendon, it was really sore! I should have known to stop but I played because we were a man down, and well to cut a long story short, I turned to go after the ball, used my right leg to launch and snap! It was like someone had kicked me in the back of the leg, and the noise was like a gun going off. I"ve been in a cast for 2 weeks and now I"m in an adjustable boot, it"s really frustrating and every time I go to the hospital they remind me this is a 12 week process and then the physiotherapy starts! I just want to walk again. Oh well, I guess you live and learn. If I had any advice at this stage it would be to get one of those waterproof bags for the cast they put you in for 2 weeks, falling over whilst trying to have a shower standing with your leg out like a ballerina isn"t fun! Good luck everyone, I know if you are reading this you have done yours in too because no one thinks about this before they do it right? I"m a 44 year old mother of two. I have been active all my life. This day I was playing basketball with the big boys as usual, then I felt like someone had kicked me in the back of the leg but there wasn"t anyone behind me. I quit the game, sat down and it was so much pain I cried. I thought it was a sprain ankle but it wasn"t, it was Achilles tendon rupture. It has been a week and I cannot wait to recover. While performing my regular routine at the gym, I extended my left leg rearward during a kick exercise. I suddenly heard a loud crack and immediately felt an acute pain in the left calf. After a few minutes, and applying ice, the pain subsided and I could limp from there to the airport to catch my plane home where I could be treated (surgery) for the Achilles tendon rupture. I am very active and healthy. I have always participated in sports all my life. This particular day I had the Achilles tendon rupture I was playing basketball and just took off to run towards the ball and heard a sudden pop. I stopped to look around and see if anyone else had heard it but they were continuing to play. I thought it was my shoe so I lifted my leg to look down and suddenly my leg began to feel numb so I sat down. There was no excruciating pain but I figured I had better not try and walk. The sound from the pop sounded as if it came from within and no one else had heard it, in fact, the person guarding me was still trying to play defense. I heard a loud pop sound (no one else heard it though) and felt like someone had hit my heel with a hockey stick when my Achilles tendon ruptured. I fell down and when I touched the area my finger went in as if there was nothing there! 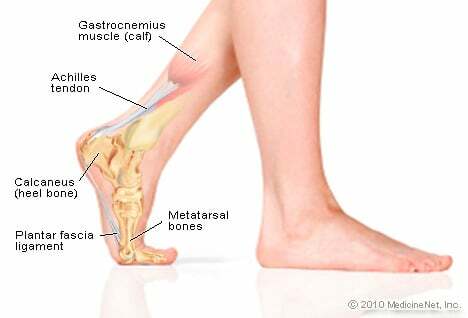 My problem is my taking Levaquin and this is one of the side effects, it affects your Achilles tendon. I had extreme pain and stretched 3 times a day as my foot doctor prescribed. I went to an orthopedic doctor for PRP (platelet-rich plasma) a stem cell procedure that is very painful. But, it didn't seem to work. The orthopedic doctor wanted to do surgery but, I declined. I opted for another PRP. Also, I have been having knee problems and not having pain in the knee but, the back of the knees. I think this stems from my Achilles. I am going for a second opinion before having knee surgery. While I was walking as usual in the morning I heard a pop sound below my leg. I thought I had stepped on some plastic pipe/sheet. I lifted my shoe and saw nothing. Sudden numbness started at my toes and stretching pain in my calf muscles. I sat for some time and went home on my vehicle. I got operated. I ruptured my Achilles tendon playing pickle ball. Timeline so far, I had 48 hours surgery, 2 weeks cast, 6 weeks Aircast boot, and physiotherapy 4 weeks. I'm 12 weeks post-surgery for my ruptured Achilles tendon. The first 6 weeks is very tough! Hang in there because it does get better. Be patient and don't take any further risks since re-rupture is possible. I'm able to walk with two shoes and no wedges for a couple weeks now albeit with a little pain in the Achilles area still. I am almost limp free. Good luck with everyone's recovery. I am now in my 9th week of being in a cast. I had a full Achilles tendon rupture. Despite asking for surgery my consultant said I had to use the conservative method but he would get a 2nd opinion. Well, he did not and it looks like my injury has not healed despite doing everything I was told to do. I have a very active life and am concerned about re-rupture. Not happy at all. Warm up before exercising, but also warm down. By failing to warm down I ruined by Achilles. It is 100% torn and too late for surgery. Please describe your recovery after receiving treatment for a ruptured Achilles tendon.